Shopping for a great quality carry weapon? 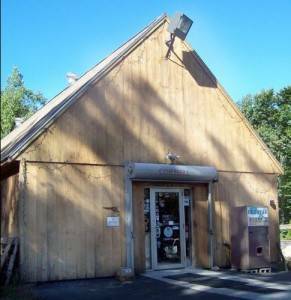 If you’re interested in carrying a great firearm for concealment, then you need to visit Old Glory Guns & Ammo of New Hampshire. We carry a complete line of concealable firearms, including those by Kahr Arms. Kahr has been making high-quality firearms since 1994, and their PM (which stands for Polymer Micro) line is head and shoulders above the rest. The target market for the PM line is the concealed carry market, and for law enforcement officers as a backup firearm. These firearms are a ‘double action only’ (DAO) firearm and they are very simple and very dependable. PM series firearms are manufactured with a stainless steel slide, which rides atop steel inserts inside the polymer frame. In this design, this reduces friction and eliminates wear between the frame and the slide due to constant contact. This firearm is available in 9 mm as the PM9, .40 caliber as the PM40 and in 45 ACP as the PM45. These weapons, noted for their extremely smooth trigger, pull at 6 pounds are very consistent. They are also known for their large and very easy-to-see sites, including the night sights. This series is noted for being very no-nonsense and utilitarian in appearance with black grips and a brushed stainless slide. At Old Glory Guns & Ammo, your premier gun shop in New Hampshire, you will find very competitive pricing on these firearms and more. With its offset feed ramp, designers at Kahr Arms found that they could produce a much thinner handgrip, and with a lower bore axis, this weapon has much less muzzle rise. If you are looking for a spectacular concealable sidearm, come into a gun shop in New Hampshire and take a look. The staff at Old Glory Guns & Ammo, located in Mason, New Hampshire, is quite confident that you will definitely appreciate this firearm and we look forward to serving you. Give us a call at 603-878-2854. We are open seven days a week for your shopping convenience.